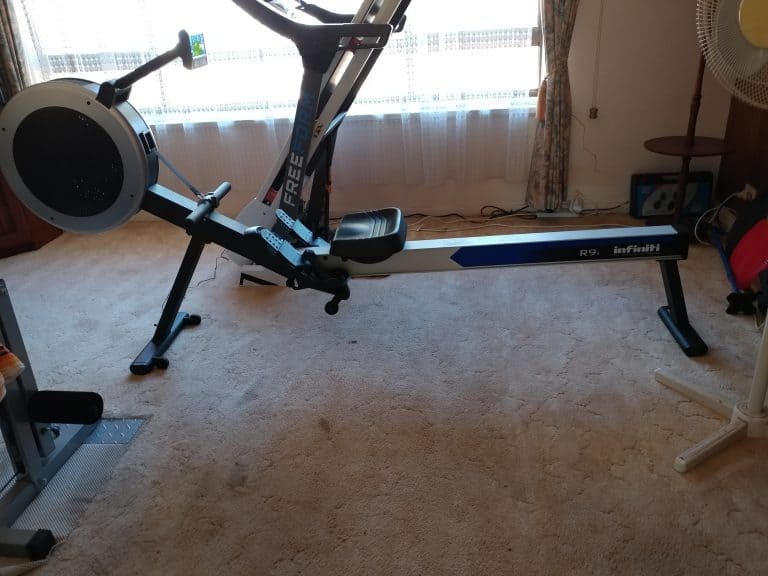 My new rowing machine is here and man is big. I love it – and even learned how to fold it up which is cool. My one and only problem? I’m kinda short and stout. Reaching the rowing bar is soooo just out of my reach! Luckily because I’m short, I went and found a reacher gadget and can now access all of the parts just fine. I’m taking about 10 minutes each day to get completely familiar with it but so far… I’m really thinking I made a good choice. 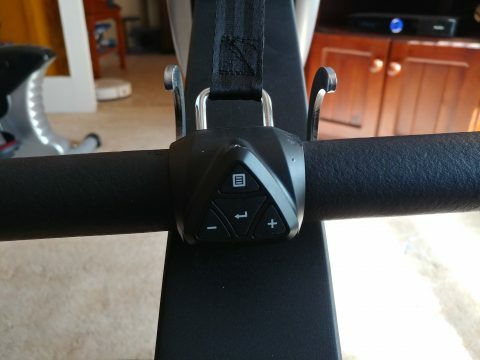 Yesterday I wrote about not being able to reach the bar on my new rowing machine. Last night I sent an Email to the company that makes the machine and asked them about it. They replied today and just my luck, they’ve never run into that problem before. Leave it to me to be that weird ‘special one’. Ugh! The engineer suggested maybe as I’m putting the feet in the straps to pull out the bar and tuck it behind my calves. I tried that and it worked but it felt very awkward. But while putting the bar back, I made a really simple but important discovery. The hooks for the bar have a bottom that’s just high enough so the bar will actually stay in place underneath the hooks. It’s only about a centimetre closer to me, but that’s really all I need. So I can reach it now if I put the bar there, which is fairly simple to do. See the photos below. I had a good day doing my regular gym session and figuring this out but never did get a chance to just ‘play with my new toy’ because I had to go get groceries after work today. Ahh well. There’s always tomorrow! 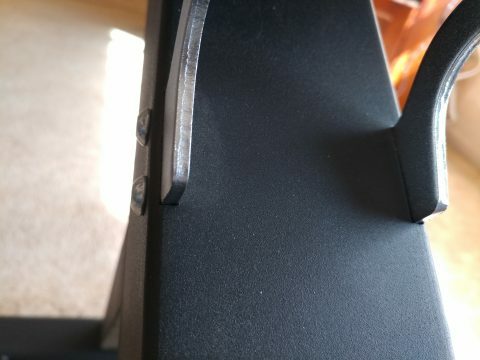 My bar fits just under these brackets. (Usually, it would go where the hooks are for it). And here’s the same spot with the bar sitting where I can reach it. So pleased to have found this by accident! I thought I’d do about 10 minutes on the rowing machine but ended up doing 20! I’m now feeling muscles I didn’t even know existed! !